With this intensive mushroom cultivation course we give you all the hands-on experience and knowledge you need to grow your own mushrooms successfully. Most importantly, we will help you understand the cultivation process, through practical examples from our own grow operation. 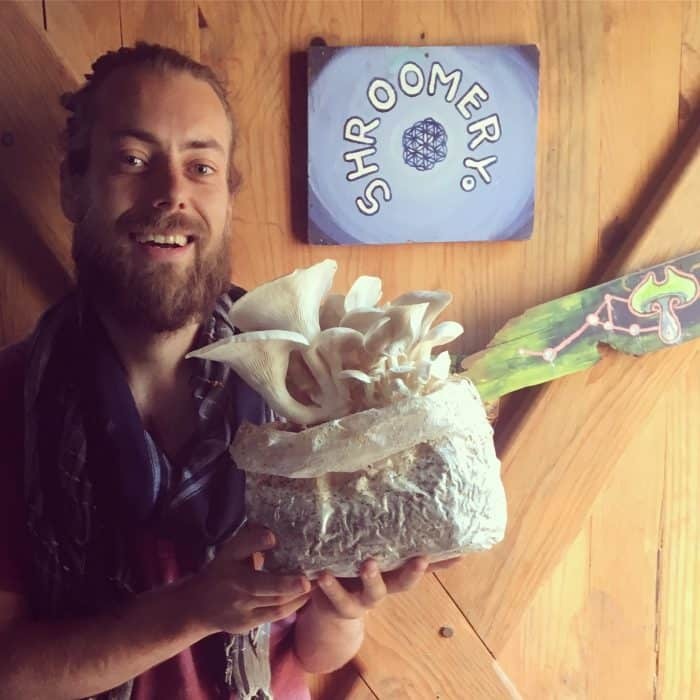 This unique course gives you the hands on experience to grow your own mushrooms for food and medicine and will get you started immediately. 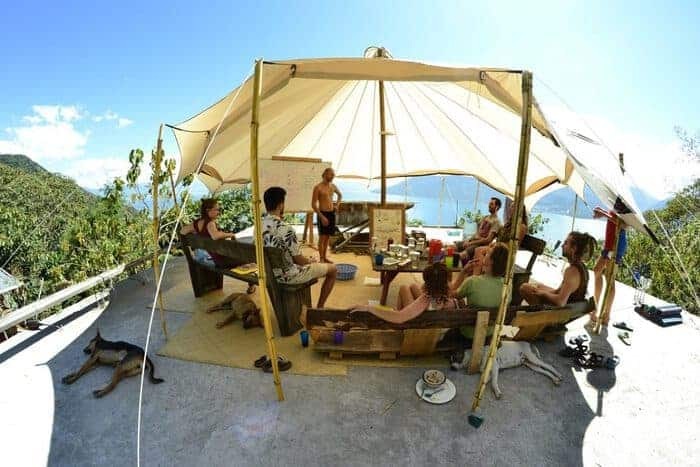 Learn mushroom cultivation, medicine making, foraging, gardening with fungi and so much more. 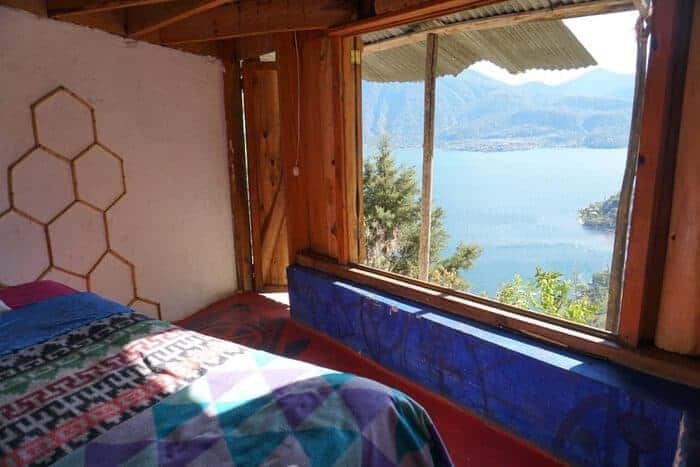 All while living in an intentional permaculture community that is located above the mystical Lake Atitlan. 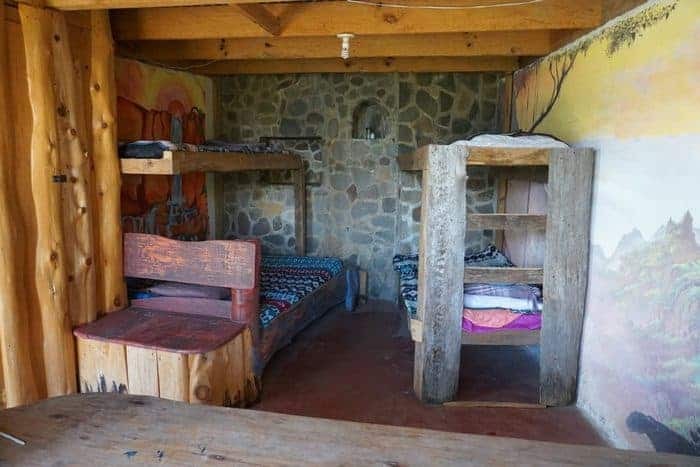 During the time of the course, you will be welcomed to live here as a community member and you will feel home and inspired with your new fungi family. Get the hands-on experience and mentoring you need. Enjoy rich and diverse lectures and be amazed by the social and natural beauty around you. 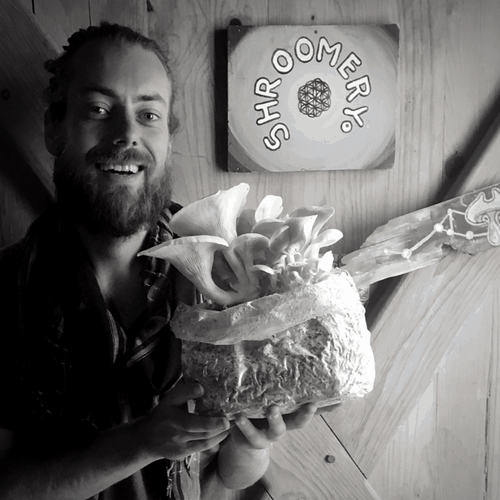 The course is happening in Fungi Academy, an intentional community fueled mushroom training center. 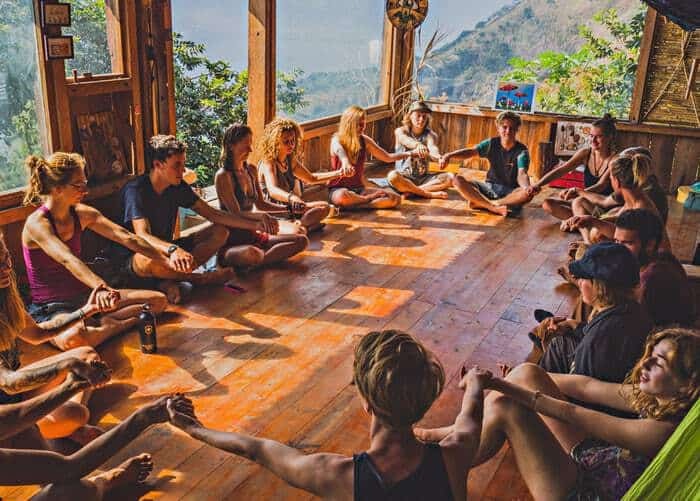 Our mission is to empower conscious leadership through sharing the wisdom of mushrooms and community building. During the time of the course, you will be welcomed to live here as a community member. Along one of the most beautiful lakes in the world lies a little indigenous Mayan town called San Marcos la Laguna. We are a small hike up the hill away from distractions, but close enough to take a trip to town anytime. P.S. Once you have finished this course it is possible to stay and live in the Fungi Academy as an Apprentice, Guest or Volunteer. 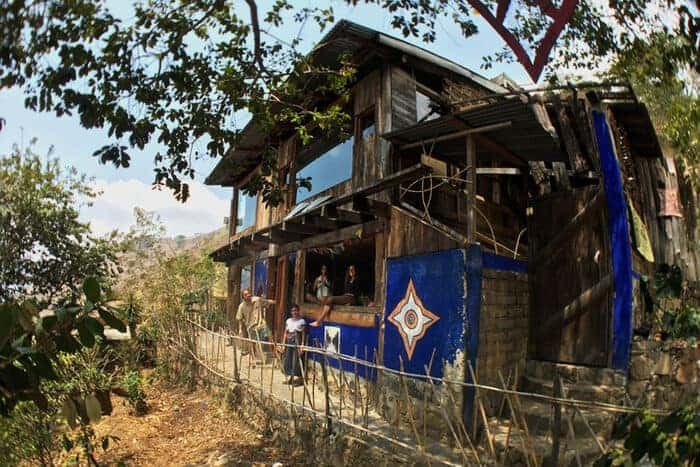 We are located in the town of San Marcos La Laguna at Lake Atitlan. The nearest airport is Guatemala City (GUA). It takes about 5-6 hours in total, depending on traffic. Take a shuttle directly to San Marcos La Laguna (or Panajachel and take a 30 min boat from there to San Marcos). We recommend flying in at least one day earlier and staying one night in Antigua, a beautiful touristic city, only one hour distance from the airport. Silvan is a graphic designer, mushroom educator and community leader.He learned professional cultivation of gourmet, medicinal and entheogenic mushrooms in the village of the famous curandera Maria Sabina in the Oaxacan mountains of Mexico. His connection to mushroom cultivation and fungiculture started in 2013 and it has been a fulfilling journey ever since. He ejected himself out of university to immerse himself more deeply into mycology, leading him to co-found Fungi Academy in 2016. Pay only a 200$ deposit to save your ticket and secure your spot. Deposits are non-refundable. Thank you - This event is sold out! Please check available dates below. 1) Write us in the PayPal transaction who you are (with email address) and when you are coming. 2) Make sure you send USD and within the “friends & family” policy. Otherwise we pay fees. 3) Bring the remaining amount on arrival in cash, preferably USD. SOLD OUT - With this intensive mushroom cultivation course in Guatemala we give you all the hands-on experience and knowledge you need to grow your own mushrooms successfully. Fungi Academy visits Punta Mona (Costa Rica) to bring you the most accessible, low budget and easy to apply cultivation techniques right into the jungle. With this intensive mushroom cultivation course in Guatemala we give you all the hands-on experience and knowledge you need to grow your own mushrooms successfully.